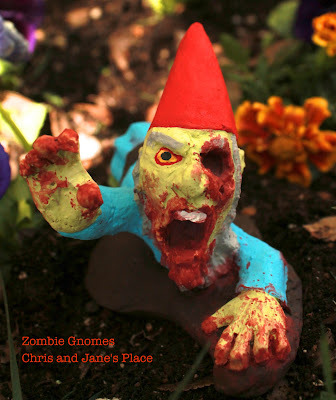 You might roll your eyes when you think of yard gnomes - no one would blame you. 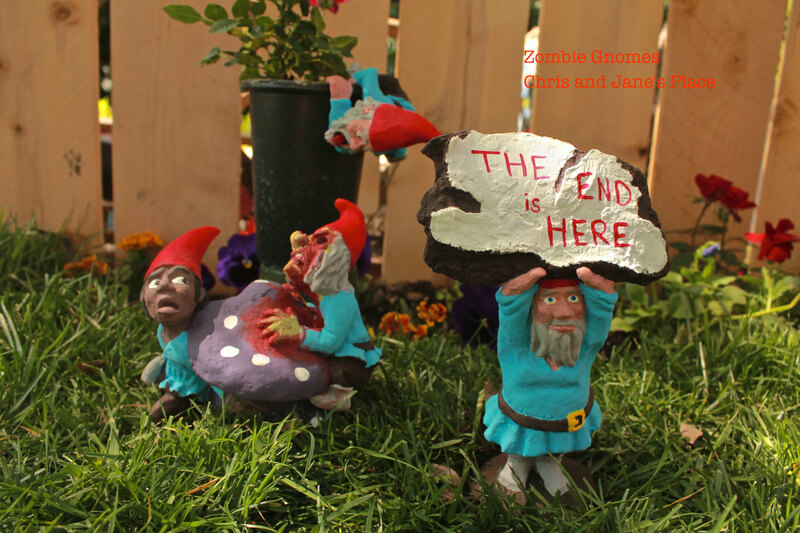 These gnomes are different than what you're used to though; they're ceramic and they're undead. I wouldn't dare make fun of them just on the off chance that they might come to life and try to eat my brains while I'm sleeping. Seriously - it's a cheesy Syfy movie waiting to happen. Chris and Jane's Place sell the gruesome creatures, and they are just what you need to freak out the neighbors and to counter their ceramic geese in costumes. 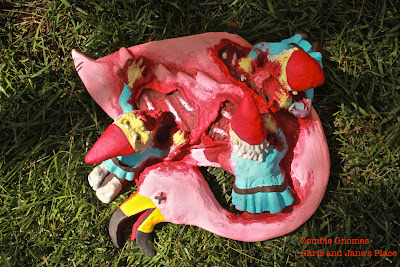 The disgusting yet charming little gnomes are made from cement and take about 2-3 weeks to become infected and arrive at your door. As you can see, the shop offers a variety of styles. The one where tiny gnomes devour the pink flamingo lawn ornament is my favorite. If full sized lawn decorations aren't your style, you can always opt for a zombie gnome keychain too. It will keep your keys safe because no one will want to put their fingers near it. I see no need for any other lawn accessories ever. i wanna be zombie because i like zombie.